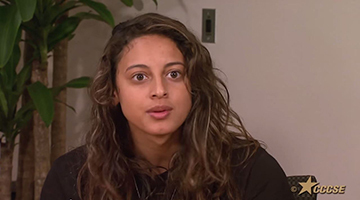 As part of a special initiative—Engaging Latino Students for Transfer and College Completion—the Center has created online resources and tools for college leaders to use as they work to strengthen Latino student engagement, transfer, and college completion. This work was made possible by generous grants from The Kresge Foundation and Greater Texas Foundation. 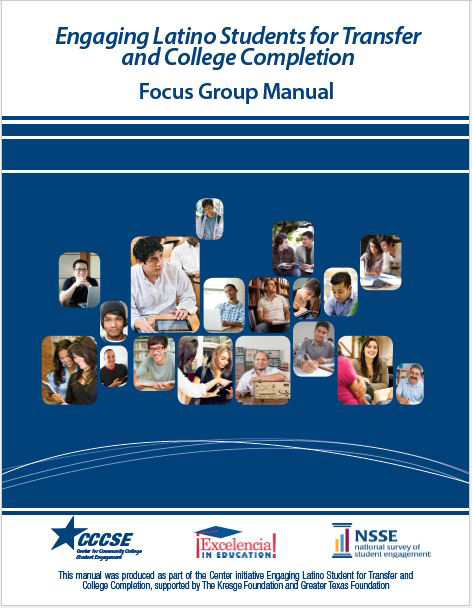 This focus group manual, a comprehensive "how-to" guide on conducting focus groups, was designed for the Center's focus group work with its ten partner community colleges and universities. The components of the manual have been adapted and can be customized for wider use by community colleges and universities interested in conducting focus groups to support Latina/o student success. The focus group protocols and questions below were used at the ten partner colleges and universities and have been adapted for wider use. 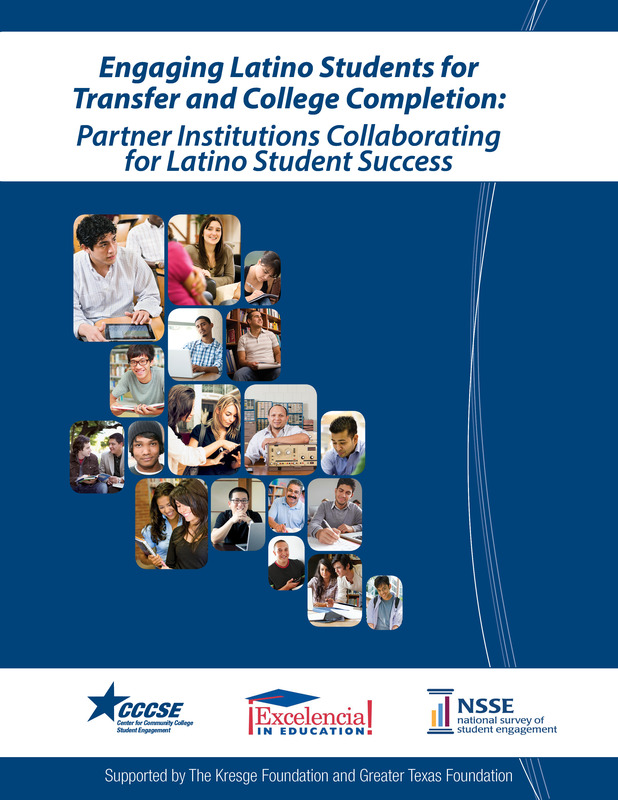 The fact sheet captures key findings collected through an extensive literature review on Latino student engagement, transfer, and college completion. Sources include published works by initiative partners and other experts on this issue, representing Excelencia in Education, College Board's Advocacy and Policy Center, Civil Rights Project at UCLA, Institute for Higher Education Leadership & Policy, and Education Trust, among others. The bibliography provides a list of resources to support colleges in their conversations and practices regarding successful Latino student engagement, transfer, and college completion. 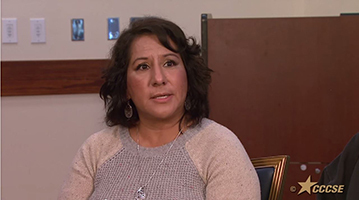 The videos below were drawn from the focus groups conducted with Latina/o students in community colleges and universities across the country. 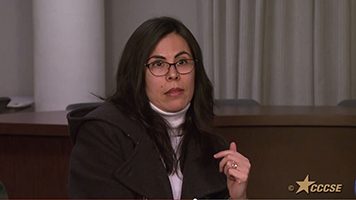 The focus groups and interviews provide a space for students, faculty, staff, and administrators to share their experiences and articulate their thoughts about what helps Latina/o students achieve their academic goals—what barriers make it difficult for them, and what cultural assets and knowledges they bring with them to the institutions from their families and communities. There are no more qualified informants regarding student experiences than the students themselves. At the close of the initiative, community college and four-year institution partners jointly prepared Collaborative Vignettes. Each summary captures a shared program, strategy, or initiative they are using to strengthen Latino student engagement, transfer, and/or college completion. Institutions also describe outcomes of the program/strategy and provide data that document those outcomes.